Goslings are on the prowl in this holiday board book from the popular Gossie&Friends series! While Gossie, Gertie, Peedie, and BooBoo are tricking and treating, Ollie is thinking about how sharing is better than scaring. 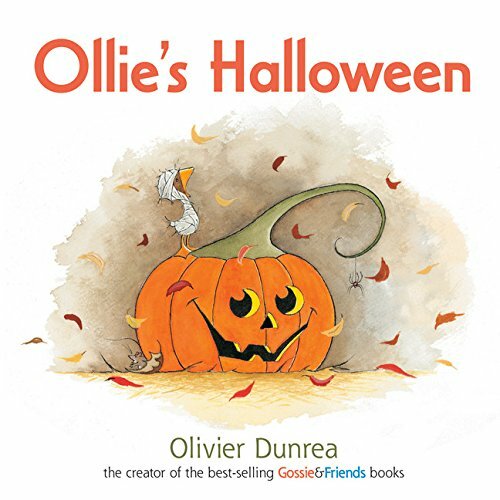 With shiny foil on the cover, a gentle Halloween story, and Olivier Dunrea’s signature adorable artwork, this book is the perfect one to share with the littlest trick-or-treaters this October!